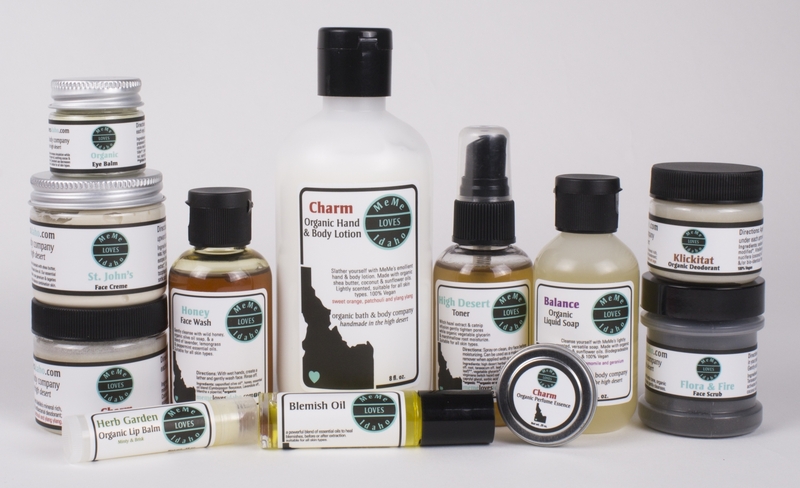 MeMe Loves Idaho | Organic Bath & Body Company. Handmade in the High Desert. Organic Bath & Body Company. Handmade in the High Desert. All products are handcrafted using MeMe's formulas, signature essential oil blends, organic base oils & organic and wild-harvested herbs. 100% Vegetarian. Most products are Vegan. Paraben & Gluten-Free. If you're in the Boise Area, use coupon code IDAHOMADE to pick up your order at IdahoMADE on 6th & Main downtown Boise.